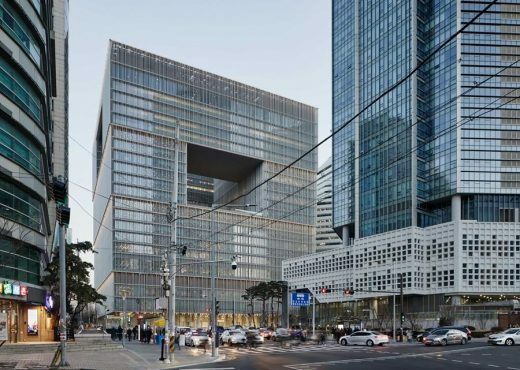 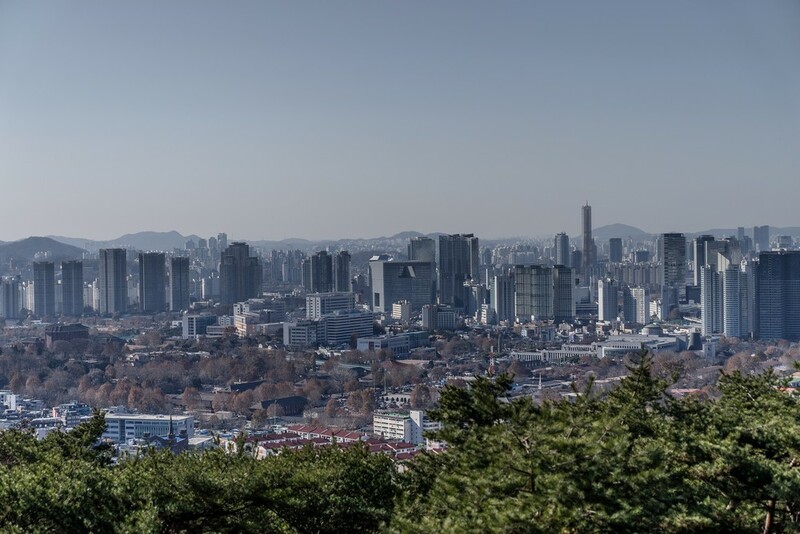 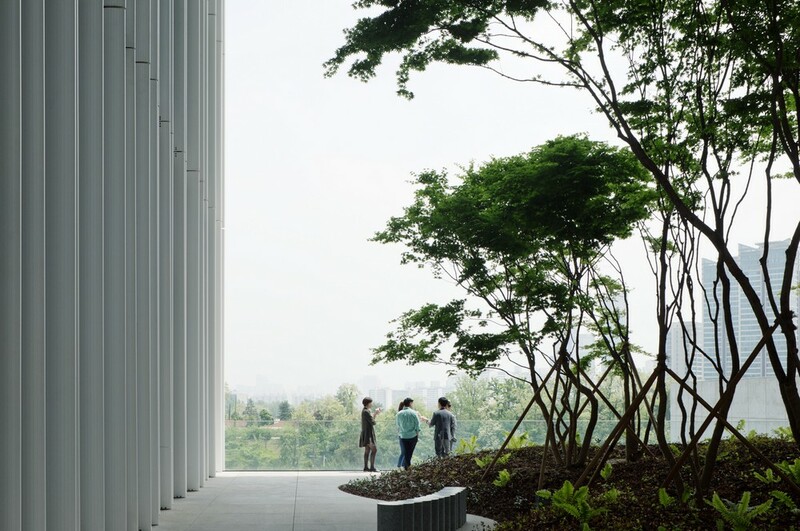 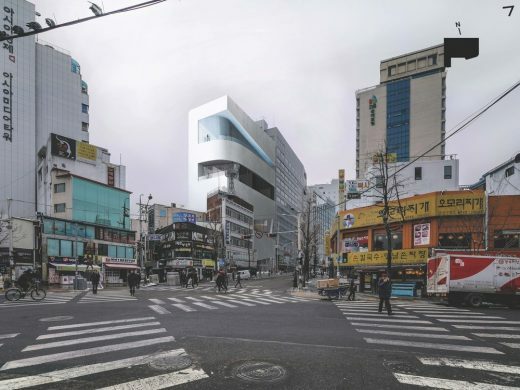 The new building is situated in the district of Yongsan-gu, between the site of a spacious public park currently under development, and a business district of high-rise towers. 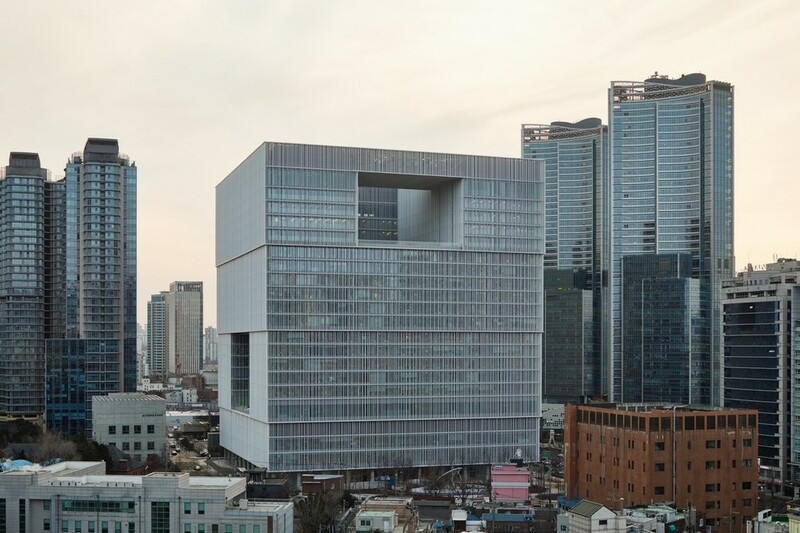 The cube-shaped volume contains a total of 30 floors and a gross floor area of 216,000 square metres. 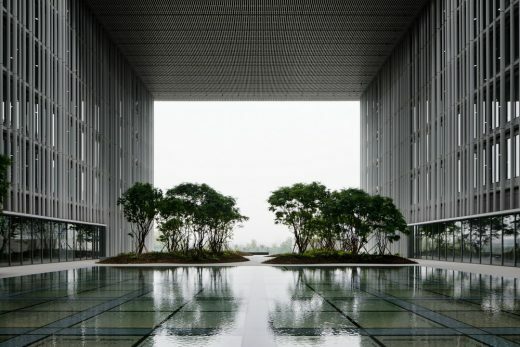 A central inner courtyard and three large openings in the façade, each containing a garden, break up the compact form, making the building permeable to the city and allowing air and daylight to filter into its depths. 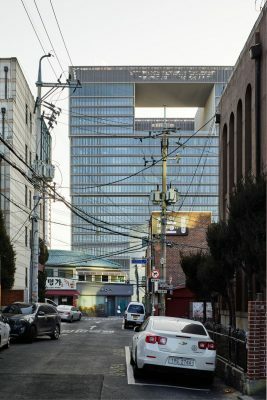 From the very start, the design for the new headquarters building was driven by the notion that the quality of our cities does not depend on individual buildings alone, but on the contribution they make to the common and social space of the city. 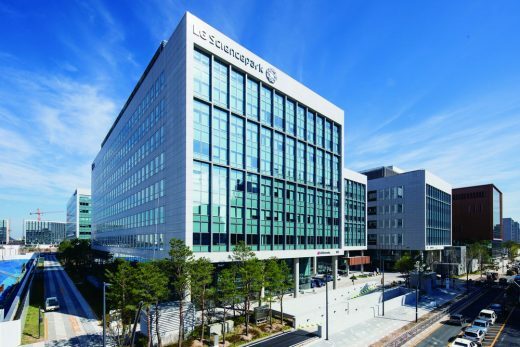 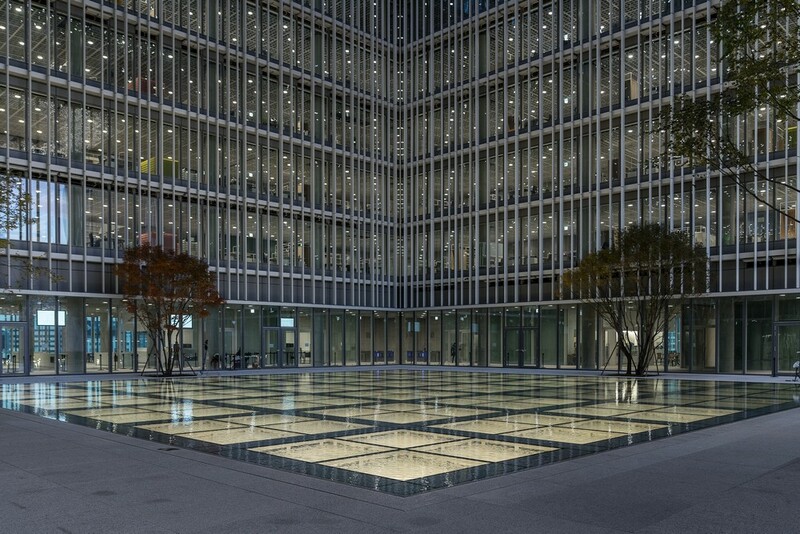 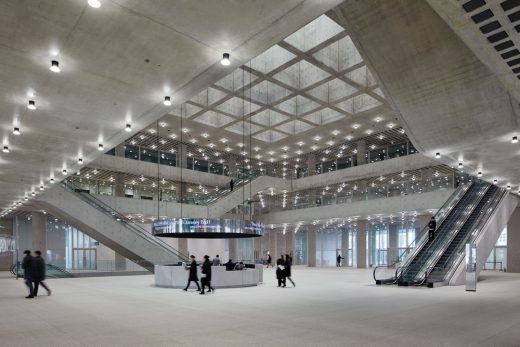 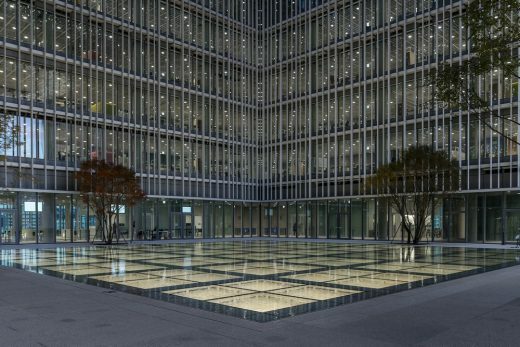 The completed building combines under one roof an efficient company headquarters together with diverse public facilities, including a museum, a large auditorium, a library, a childcare facility as well as restaurants, bars and cafés – providing significant new spaces for the citizens of the growing metropolitan city of Seoul. 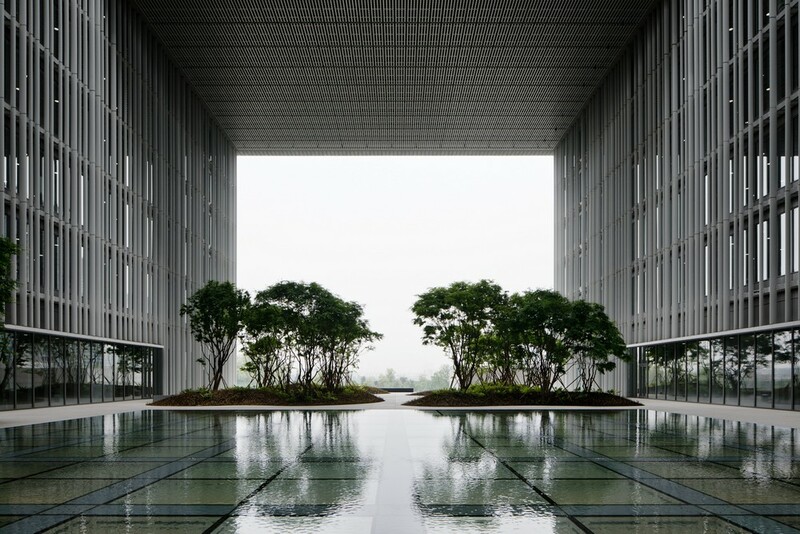 These social and cultural values also determined the architectural form. 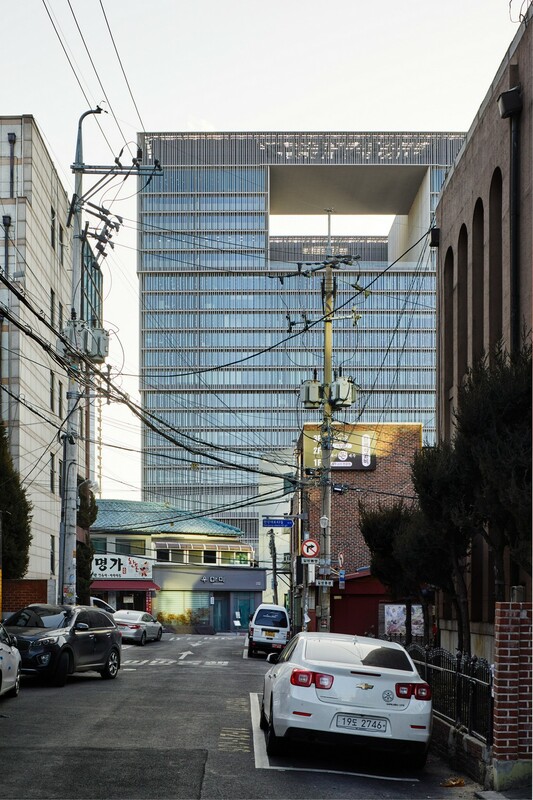 A tower solution was rejected in favour of a cube of approximately 100 m in width and height. 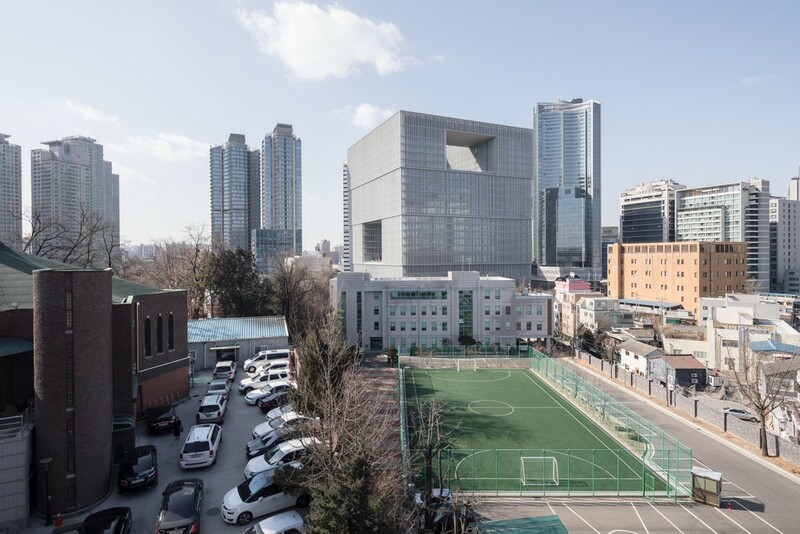 The large footprint created by this form resolutely provides more options for communal activities through greater engagement with the street level. 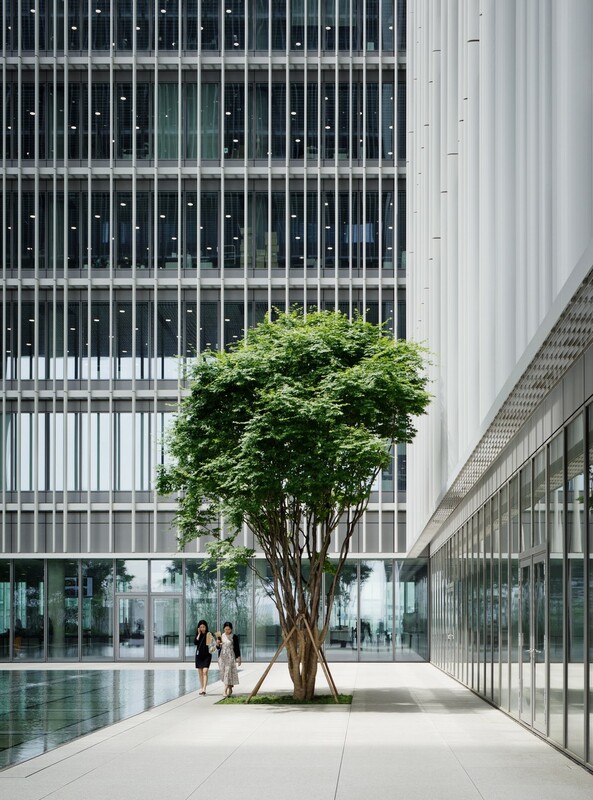 All architectural, structural and technical concepts for the building stem from a broad and holistic approach towards sustainability. 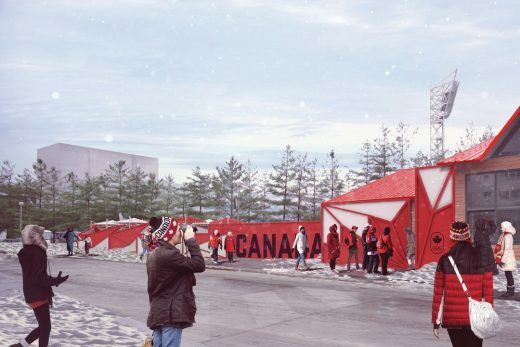 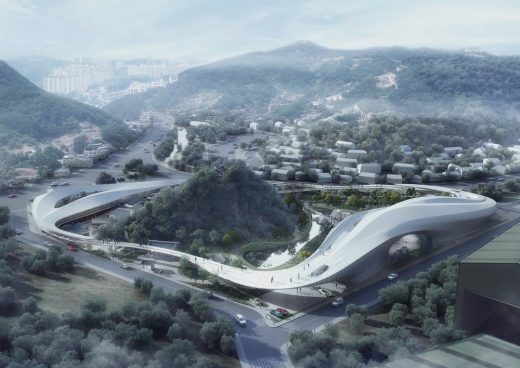 The design is inspired by Korean traditions as well as local expertise that has been developed over centuries in terms of climate, resources and craftsmanship. 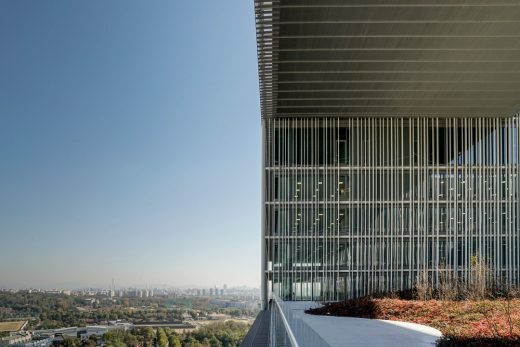 The external layer of the façade made of light aluminium fins not only facilitates the environmental performance, but also gives the building a solid yet at the same time open and light form.